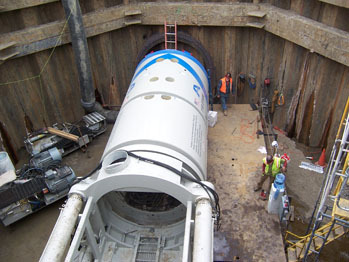 Pipe-jacking is a method of tunnel construction where hydraulic jacks are used to directly install pipe by pushing the pipe through the ground behind a tunnel boring machine or shield. 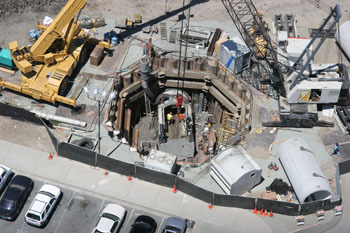 The hydraulic jacks are located within a jacking pit where the tunnel initially began. If the capacity of the main hydraulic jacking system is incapable of supplying the force required to complete the drive, intermediate jacking stations are used to supplement the main jacking system.